Born in the Alsace region of France, Chef Oliver Mahut, of French and American nationality, obtained a “Brevet d’Études Professionnelles (BEP)” in cuisine in 1985 and, a year later, a “Certificat d’Aptitude Professionnelle (CAP)” in pastry confectionery, chocolate and ice cream making. He then went to America where he worked for two years at the Méridien hotel and the Queen Mary hotel. 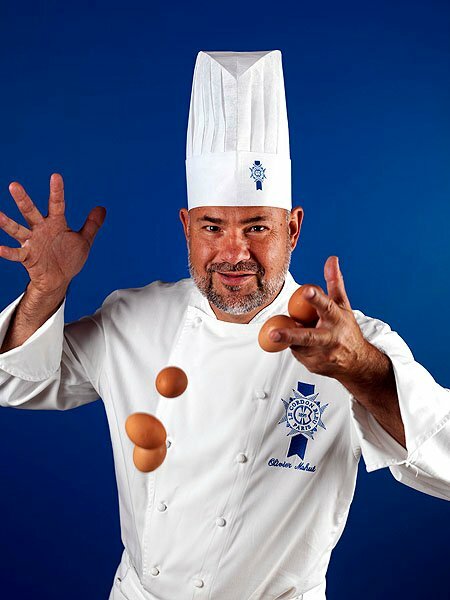 Chef Mahut returned to France in 1989 and continued his studies at the École Nationale Supérieure de la Pâtisserie. During the same year, Chef Mahut also worked at the Trianon Palace hotel in Versailles. Chef Mahut then decided to return to America where he remained for almost ten years. He worked in numerous restaurants where he is responsible for restaurant desserts, banquets and buffets. He also carried out research and development for pastry shops and was involved in demonstration work for a culinary school in California. Chef Mahut returned to France in 2010 and his most recent position was Head Pastry Chef for the Groupama director’s dining room. Chef Mahut joined Le Cordon Bleu Paris team of Chef Instructors in 2013.